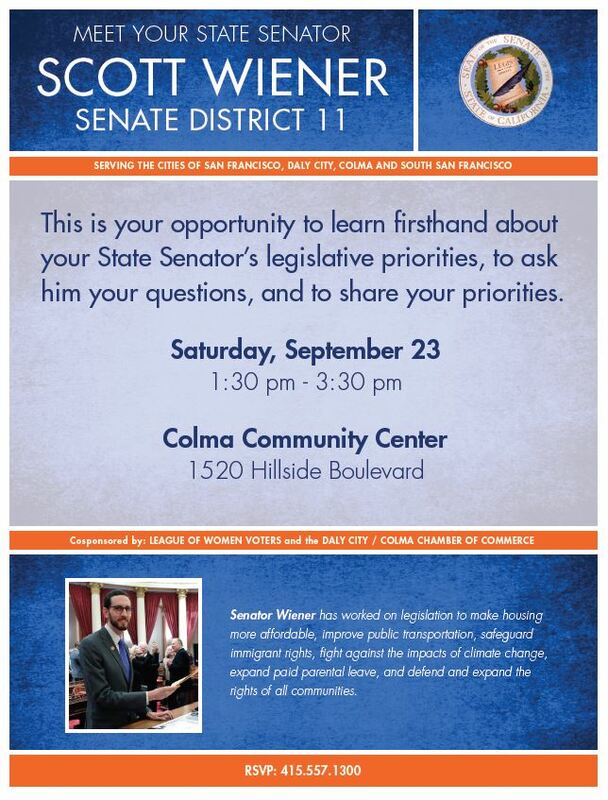 Meet you State Senator Scott Weiner this Saturday, September 23rd at the Colma Community Center 1520 Hillside Blvd., Colma from 1:30pm-3:30pm. This is your opportunity to learn firsthand about your State Senator’s legislative priorities, ask him questions, and to share your concerns. If you plan on attending, please R.S.V.P. to (415) 557-1300.